Gold Investment Plan > Discover Simple Yet Powerful Tips! What Makes A Good Gold Investment Plan? 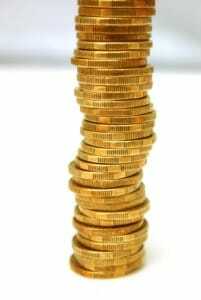 Home » Investing Resources » Gold Resources » What Makes A Good Gold Investment Plan? Having a gold investment plan is a crucial first step to purchasing gold, regardless of your financial objectives. Whether you are planning specifically for retirement or simply looking to diversify your current holdings, your investments should be based on well-defined strategies that are specific to your situation. Otherwise, you may miss out on the greatest potential benefits of purchasing gold. Follow the simple tips below to ensure that your gold-buying decisions make sense for your needs and goals. Whether you’re new to investing in gold, or you’ve been adding precious metals to your portfolio for decades, you can always benefit from having the guidance of experienced professionals. Good precious metals advisors can provide a wealth of knowledge to help you create a gold investment plan that is customized around your individual goals. They know the industry inside and out, and they can be as hands-on in your investment decisions as you’d like them to be. Having this expertise at your disposal is invaluable and essential to your success. Keep in mind that the value of each type of gold is dependent on different factors, which is why each option can have its own unique investment strategy. The value of gold bullion, for example, is dependent almost entirely on its gold content and weight, while numismatic coins can gain additional value based on their rarity and condition. A good gold investment plan (More Info) is one that is focused on an investor’s future financial outlook. If you want to experience the benefits of buying gold, along with the tax benefits of a retirement account, then you may want to consider a gold-backed IRA. Many gold investors choose to diversify their assets even further by adding other precious metals. Silver, platinum and palladium are additional options you may want to consider adding to your portfolio. Growth potential, stability, protection against stock market volatility, preservation of wealth – these are just a few of the reasons why people invest in gold. Your own investment plan should consist of gold assets that offer the specific benefits you’re looking for. If you have questions about investing in precious metals or are ready to create your own investment plan, Birch Gold Group is here to help. Our knowledgeable precious metals specialists will go over your options, answer your questions and help create a customized plan based on your individual objectives. Birch Group Group maintains an A+ rating with the BBB and has a long track record of assisting investors like yourself. Simply fill out the form on this page to request more information right away, or call us now at (800)355-2116.